The nightly news brings images of the mistreatment of people all over the world into our living rooms. "What does all this have to do with a person in east Tennessee?" is the question from a call-in radio listener that prompted this book. 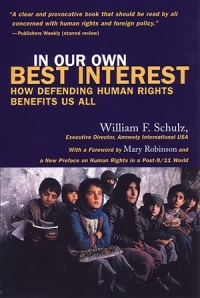 Schulz provides answers and insight along with compelling human stories that clearly delineate the connection between Americans' prosperity and human rights violations all over the globe.